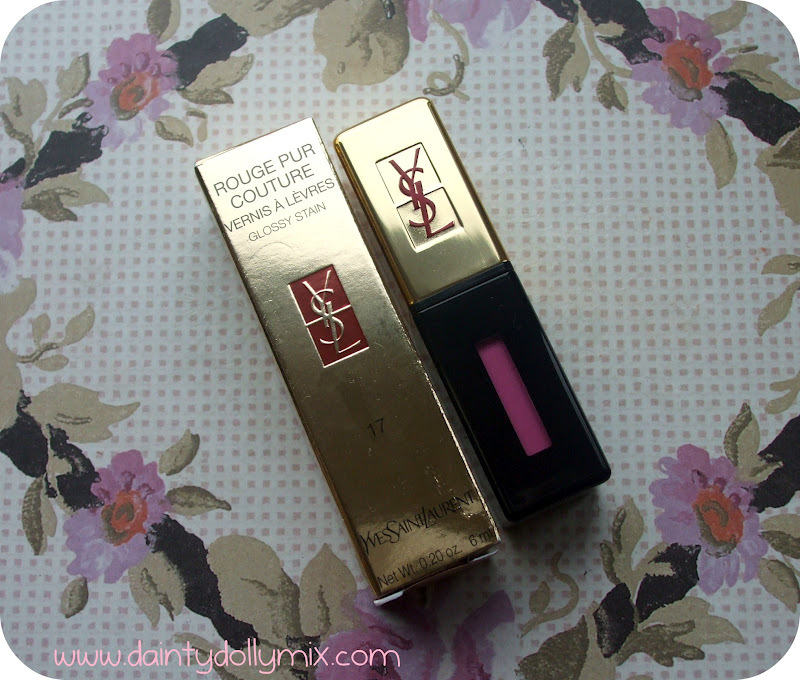 The Rouge Pur Couture Glossy Lip Stains* are the latest offering from YSL that launched on Valentines day and promise to provide 'ultimate wear, ultimate shine and ultimate colour'. They are not exactly a lipstick or a lipgloss and a lot more than a lip stain but somewhere inbetween which is perfect for me as i absolutely love lipstick but not that keen on gloss. They are available now in 20 shades so im sure there will be something to suit everyone and they retail for £22.50. 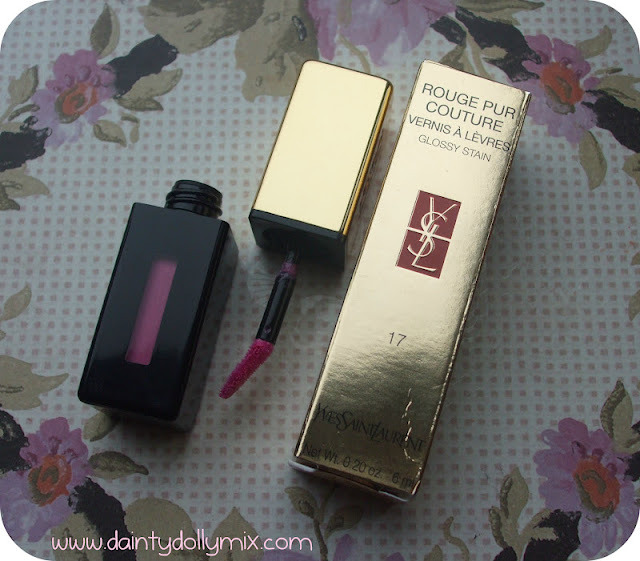 They were a Selfridges exclusive, however they are now available from other beauty outlets and also available on the YSL Website. 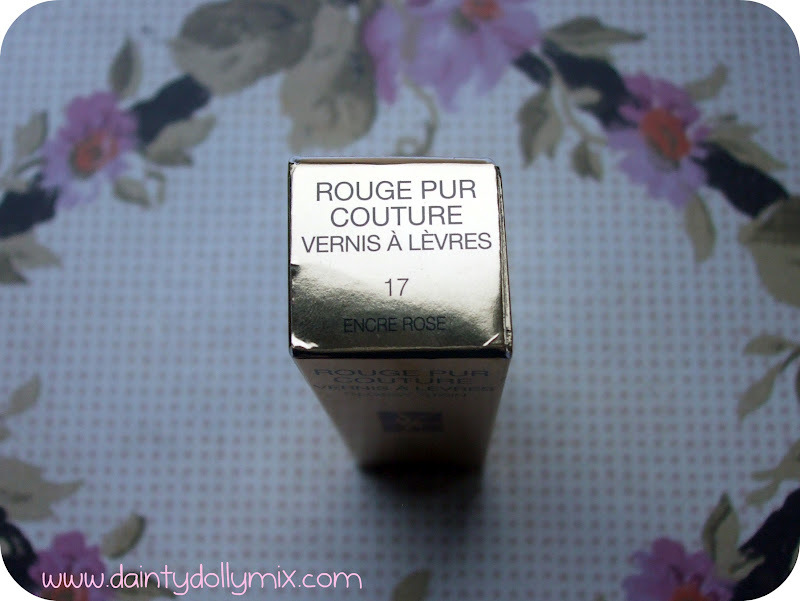 The shade i have is No 17 Encre Rose but described as Baby Pink on the YSL beauty website, which is a gorgeous dusky pink with a blue undertone. 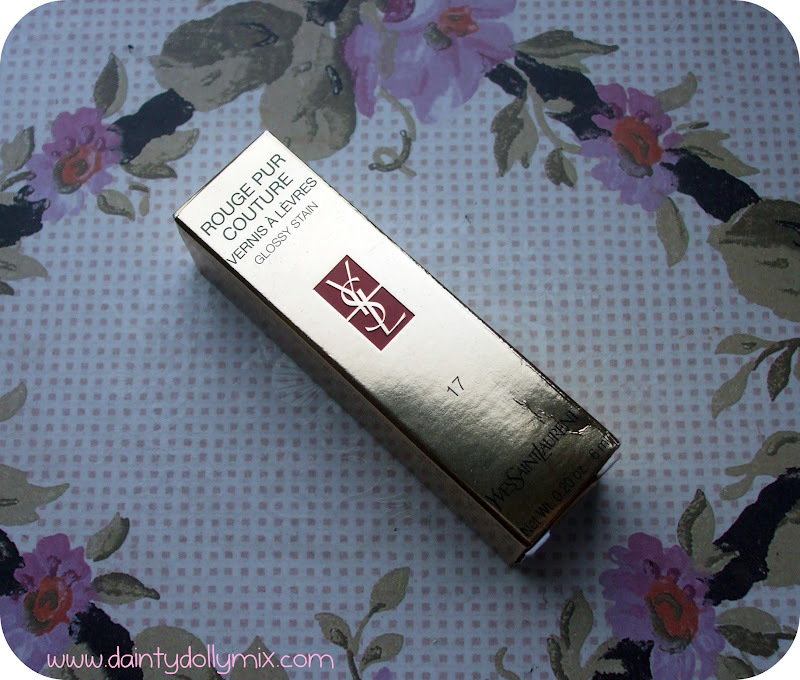 The packaging as with all YSL Lip products is gorgeous and classy, with a gold lid and gold box, similar to that of the YSL Rouge Volupte lipsticks. The YSL Rouge Pur Couture Glossy Lip stains boast a spatula style applicator that is flat, but bent if this makes any sense at all? 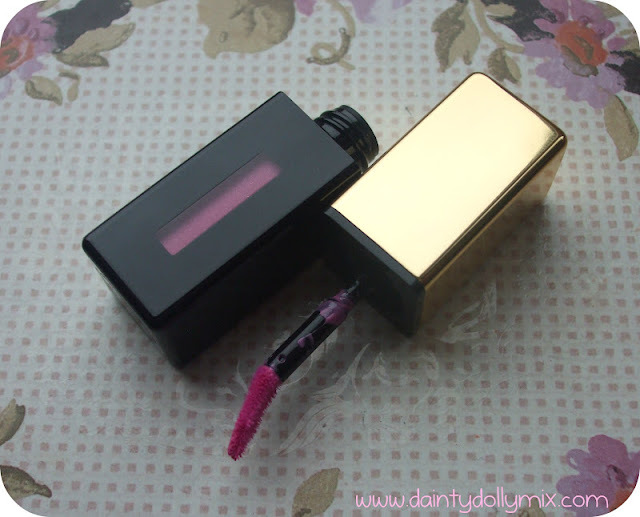 It was also quite flexible and because of the shape i could really apply the colour to my lips precisely. As the name suggests, i agree that they are somewhere in the midst of a lipstick, stain and gloss. They are glossy and have a lovely sheen but are not in the slightest sticky which is good. 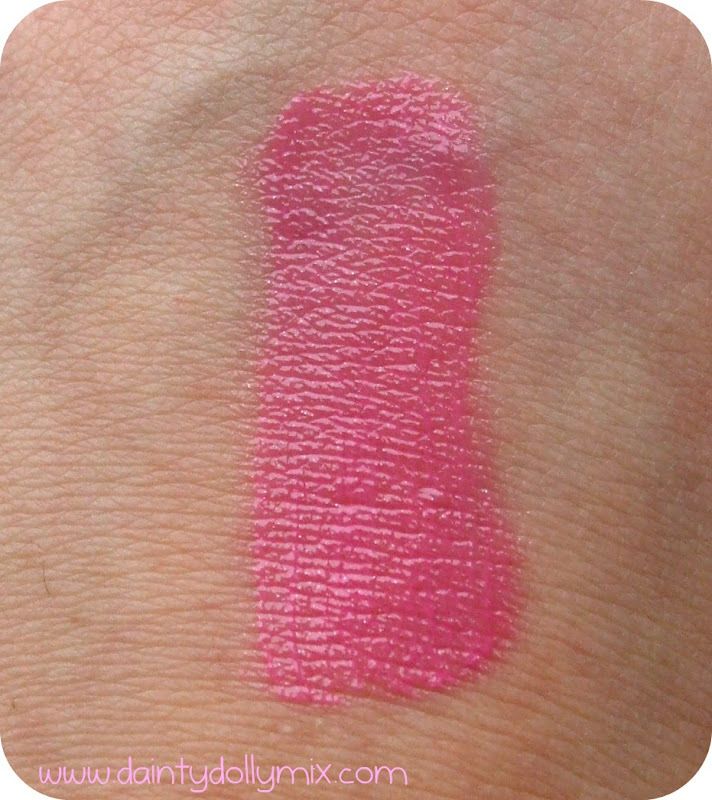 You can also intensify the colour to suit your tastes, you can really wear this colour sheer and as a stain with a light layer even though it looks quite bright in the tube, but you can also build it up to quite a full coverage lovely, bright blue based pink which are my favourite kinds of pink. They have an amazing lasting power which is where the stain element comes from as the colour stays around for absolutely ages even when they have worn over the day. 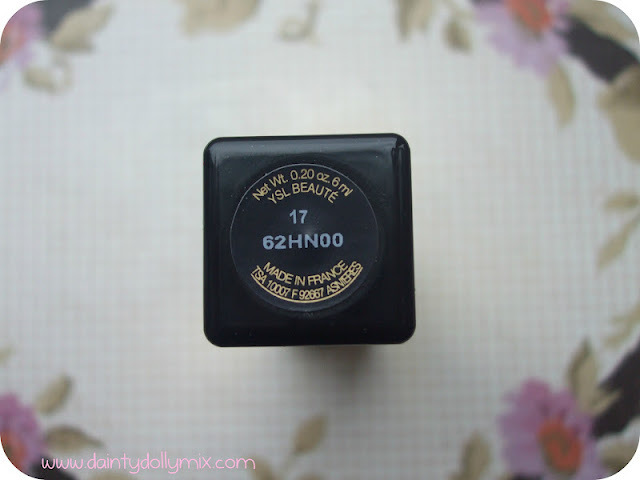 I really do love these, they are a perfect inbetween mix of lipstick and lipgloss and like a two in one product! If you dont like matte lipsticks or tend to wear a lipgloss over your lipstick then i definitely recommend you to have a little look at these! 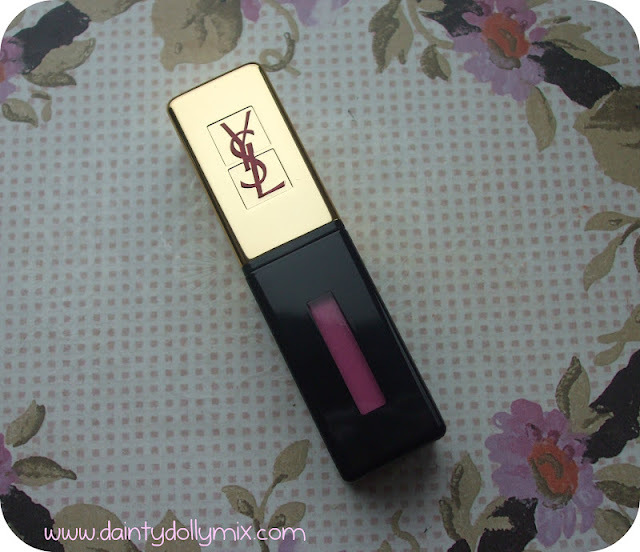 I do find these are slightly pricey even though they are in line with other YSL lip products, if not a little cheaper than the YSL Rouge Voluptes but the packaging makes up for the price, as does the fact that YSL is a high end brand and they are perfect for a treat or gift. I cant wait to have a look at the other colours in the range, im thinking a coral or peach would be perfect for summer! What do you think of YSL Beauty Products? Are the YSL Rouge Pur Couture Glossy Lip Stains up your street? This looks really lovely, love the colour and packaging aswell. Such a beautiful color . #17 was the only shade I was really interested in, and now I'm pretty sold that I need this! It's so pretty, and like everyone mentioned, love the packaging! Oh this is really pretty! I like it loads!